Amid the progressive globalization of the world, we are also facing a major turning point in the globalization of creative industries. 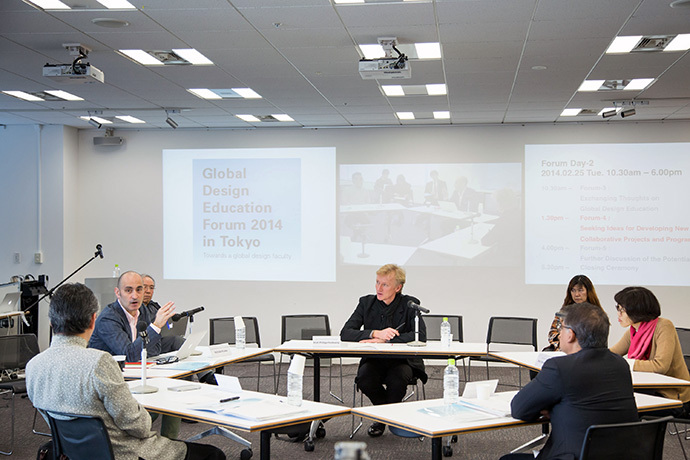 A key challenge for design education institutions worldwide is the creation of programs to develop professionals with outstanding intercultural understanding and communication skills, who can lead the global expansion of creative industries. 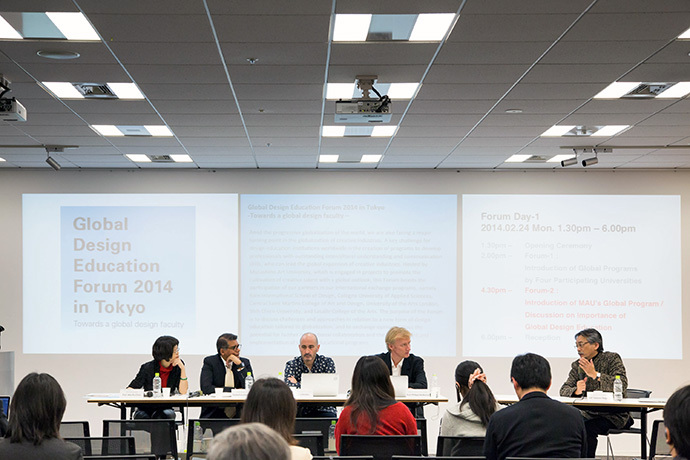 Hosted by Musashino Art University, which is engaged in projects to promote the cultivation of creative talent with a global outlook, this Forum boasts the participation of our partners in our international exchange programs, namely Köln International School of Design, Cologne University of Applied Sciences, Central Saint Martins College of Art and Design, University of the Arts London, Shih Chien University, and Lasalle College of the Arts. 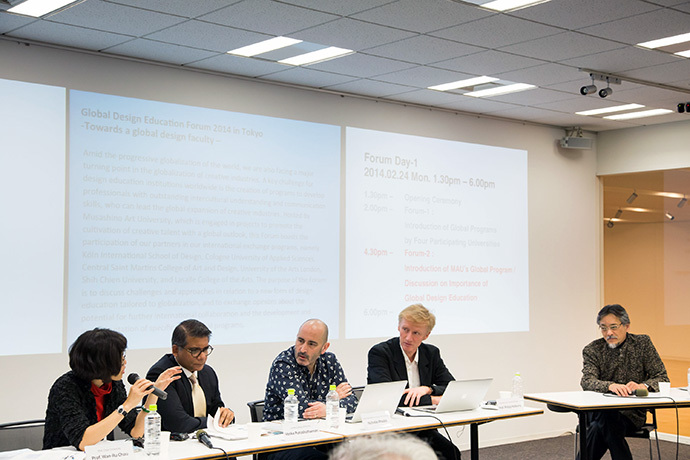 The purpose of the Forum is to discuss challenges and approaches in relation to a new form of design education tailored to globalization, and to exchange opinions about the potential for further international collaboration and the development and implementation of specific educational programs. 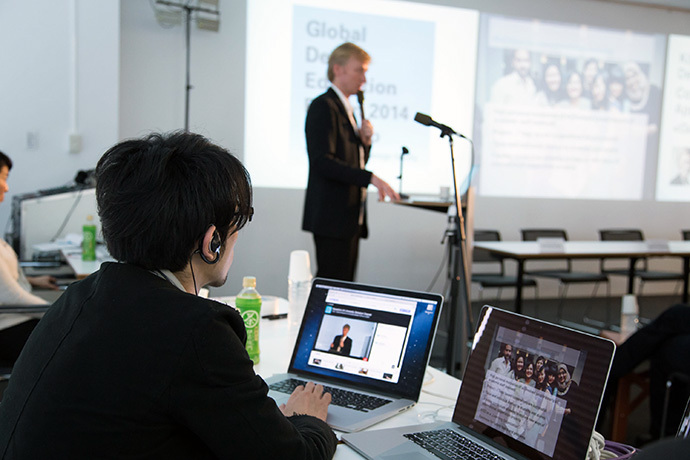 One conceivable example of the kind of new global design education program that is envisaged is an initiative in which a few students would be selected from participating institutions and sent to another institution to hold a workshop; once there, they would be hosted by teaching staff and provide instruction to the students. 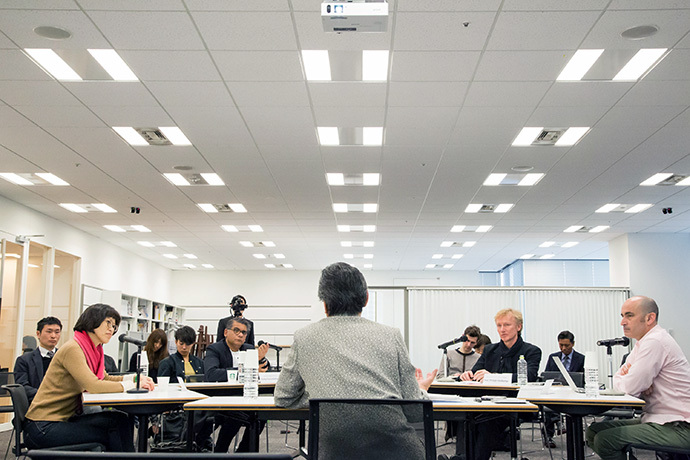 As part of this program, students from multiple participating institutions (including students from the host institution) would engage in a week-long workshop focused on a task set by the host institution, thereby deepening mutual understanding and exchange. One of the key features would be the absence of any teaching staff from the dispatching institution to lead or accompany the group. This would make it an entirely new kind of program that would simultaneously help to cultivate leadership skills, fostering a sense of responsibility and cooperative spirit among the students themselves. 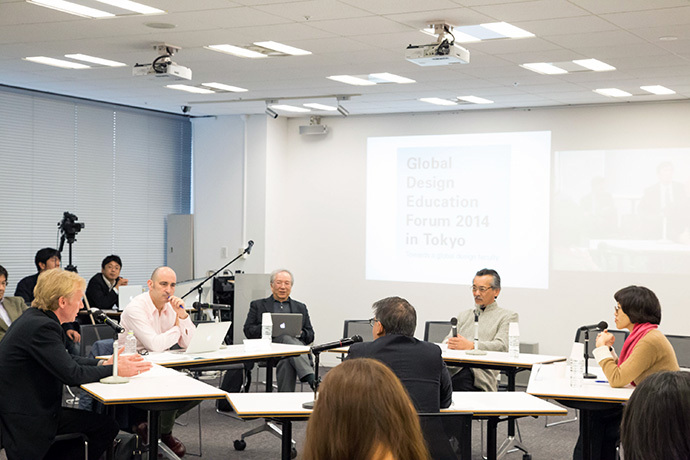 Moreover, at the same time, it is hoped that this would result in the creation of a collaborative network in the form of the Global Design Faculty (tentative name), consisting of the teaching staff serving as hosts at each participating institution, and that this in turn would help to enhance teaching and leadership skills at all of our institutions. Since 2001 Philipp Heidkamp is full-time Professor and Chair for Interface / Interaction Design at the Design Department / KISD of the Cologne University of Applied Sciences (CUAS); since its foundation in 2002 he has been the Head of School of the Köln International School of Design (former Design Department) until 2006. 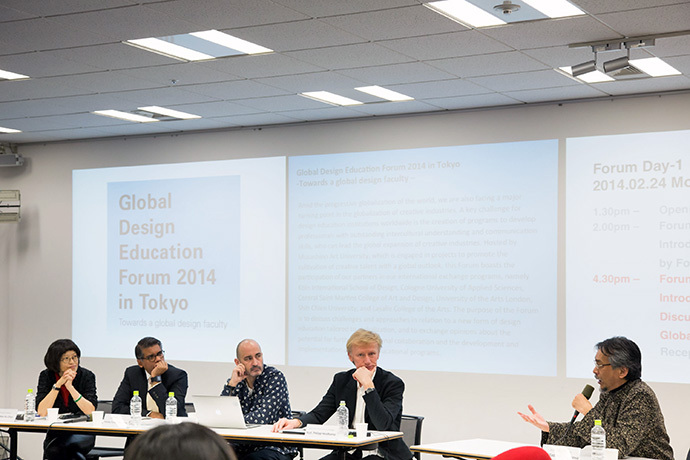 Since 2006, he is the Dean of the Faculty of Cultural Sciences of the CUAS and head of the MA Programme “European Design”. 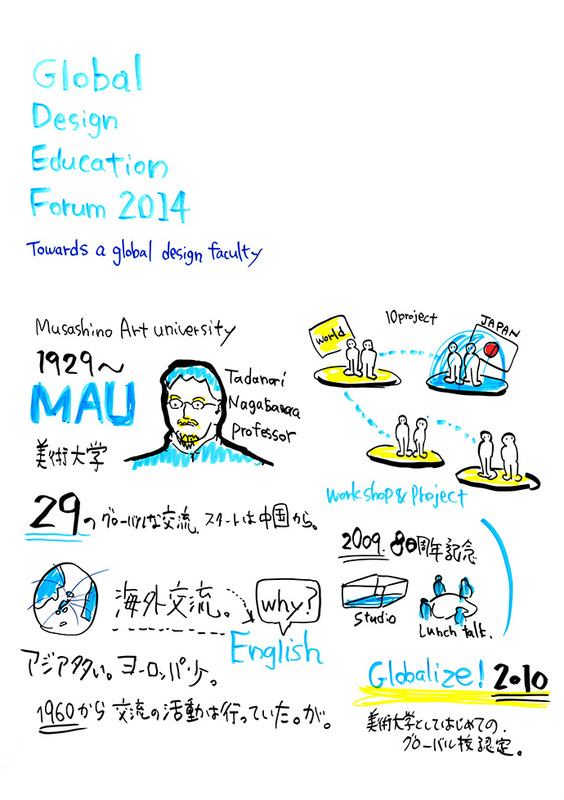 In 2008 he became the Head of the new international MA Programme „Integrated Design“ that started in 2009. 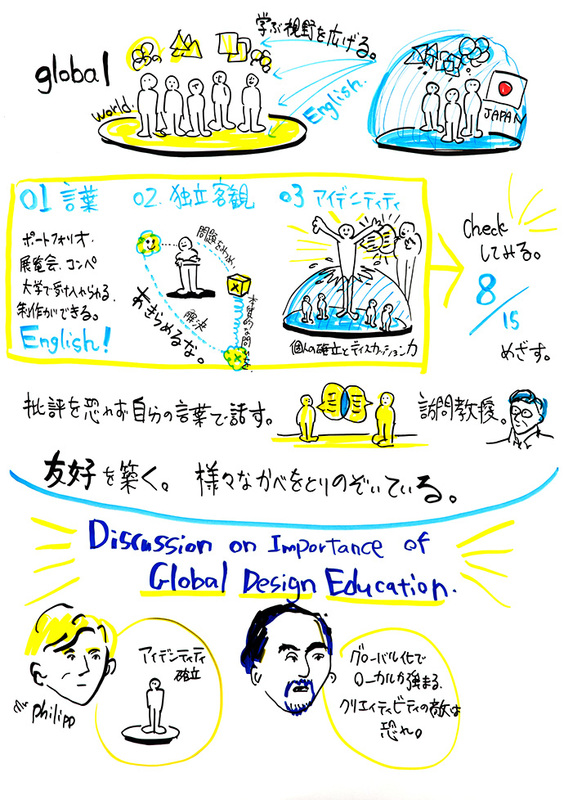 He is also responsible for the Internationalisation at KISD. 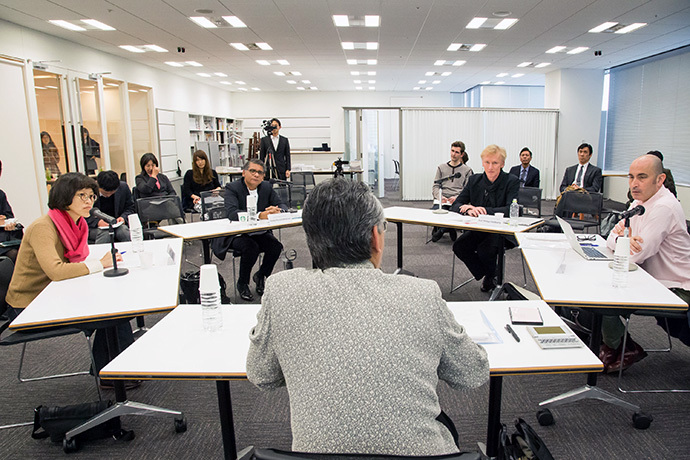 Furthermore, he is member of the University Council. 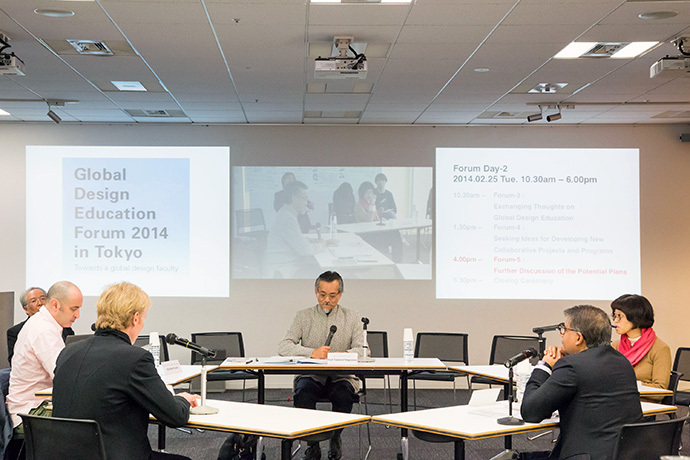 His main focus and responsibility for curriculum innovation and development and international relations led to cooperational contracts with Universities in Australia, Japan, Taiwan, China, Hongkong, Brasil, U.S. and South Africa as a basis for an International Network of Excellence in Design Education. 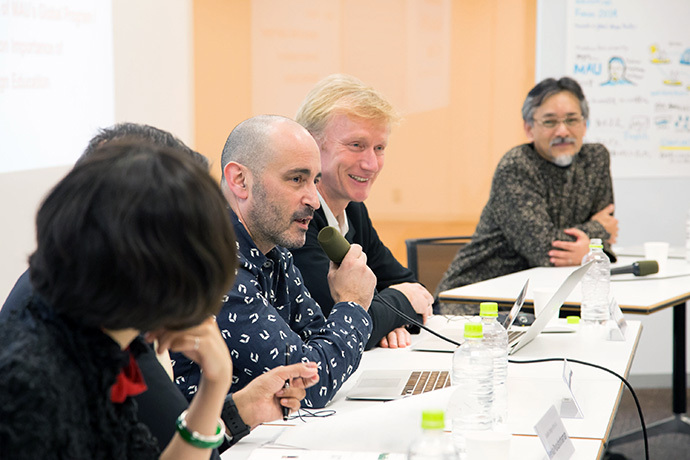 He has been visiting professor for Semiotics, Visual Communication and Interface / Interaction Design in Spain, Austria, China, Taiwan, Japan, South Africa and Australia. Philipp Heidkamp is a speaker on international conferences in Japan, Taiwan, South Africa and Brazil. 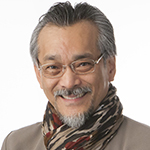 He has been a member of various international design juries (like IF Award, Germany or JDF Award, Japan) and academic examination commitees (Intermedia Austria, HGK Zurich, IVREA Italy). 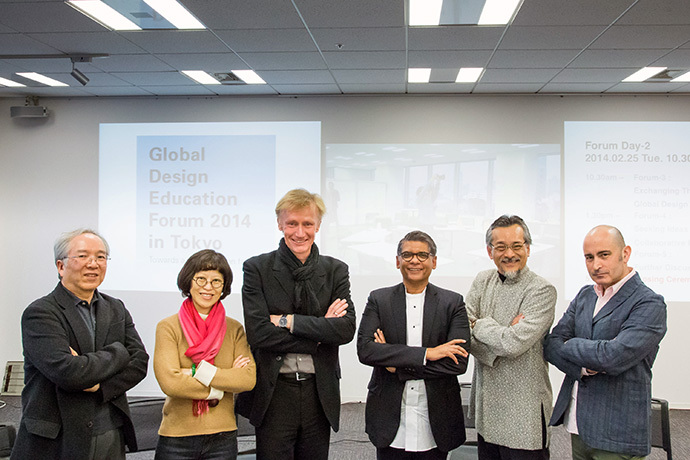 He is founding Member of DGTF (German Society for Design Theory and Research). 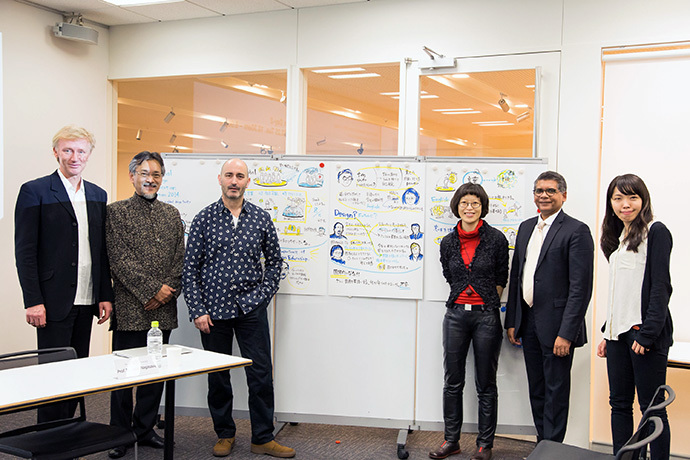 In 2006, he has been co-founder of the international Cultural Library project that has been initiated by the Musashino Art University in Tokyo. 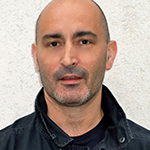 In addition to his academic practice, he is partner at syntax design, a design and consulting studio founded in 1995, focussing on Interface /Interaction Design and Information Design. syntax design is realizing projects for a wide range of national and international clients (Bertelsmann, Siemens, T-Online, EXPO 2000, Mc Kinsey, Fraunhofer Gesellschaft, German Ministry for Science and Research etc). Nick is a Designer and Educator of some 20 years in practice. His design work encompasses industrial design, branding and new product development. 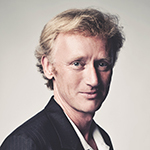 He has devised, designed, and directed projects for international brands including CNN Bespoke, Moët & Chandon, Montblanc, and Molton Brown. He has also worked for governmental development agencies including The Organisation of Eastern Caribbean States, Jamaica Trade and Invest, Caribbean Export Development Agency, the London Development Agency, and the Centre for Development of Enterprise Brussels. He has taught at Bachelors & Masters levels in the United Kingdom, the United States, Japan, China, the Caribbean, and Australia. Nick currently holds the post of Programme Director for Product, Ceramic & Industrial Design at Central Saint Martins, University of the Arts London. His courses are holders of the Queen’s Anniversary Prize for industrial and product design’s contribution to the strength of the creative economy. 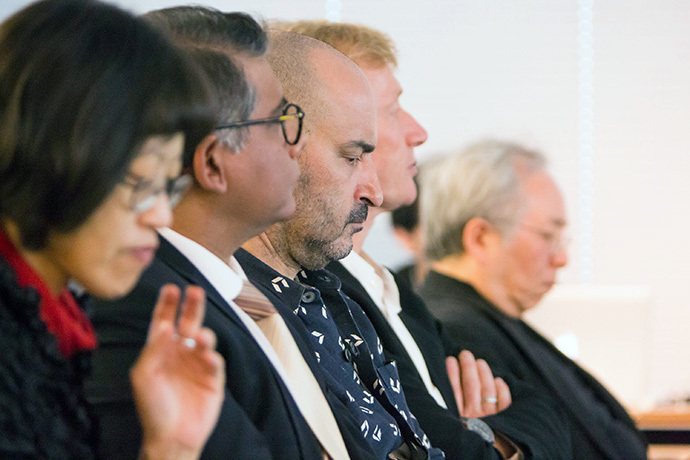 His research interests meet at the convergence of luxury design and social enterprise. 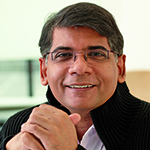 Venka Purushothaman is currently Vice-President (Academic) & Provost at LASALLE College of the Arts, Singapore – a leading institution in contemporary arts and design practice and education in Southeast Asia. He is responsible for steering curricular development, academic operations, international partnerships and academic quality assurance. 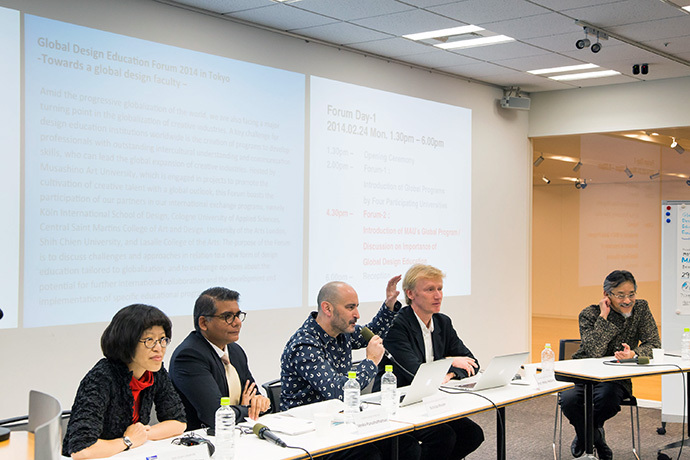 Venka is highly regarded for his research and insights in the cultural and creative industries in Asia and has lectured internationally on issues in contemporary art; festival cultures and cultural policy in Asia; and arts and design education. He has also researched and published extensively. These include essays on artists such as Pierre & Gilles (France), Nathalie Junod Ponsard (France), Parvati Nayar (India); and, artist monographs: The Art of Sukumar Bose: Reflections on South and Southeast Asia (2013); Dance Me through the Dark: The Photography of Tan Ngiap Heng (2008); and Salleh Japar: Gurindam dan Igauan. (2004). His books on culture includes Making Visible the Invisible: Three Decades of the Singapore Arts Festival (2007) and Narratives: Notes on a Cultural Journey, Cultural Medallion Recipients, 1979-2002 (2002). Venka is a member of the Association of International Art Critics, France (AICA) and Fellow of the Royal Society of the Arts, UK (RSA). Wan-Ru Chou received her Master degree of Product Design from Hochschule für Angewandte Kunst in Vienna, Austria. 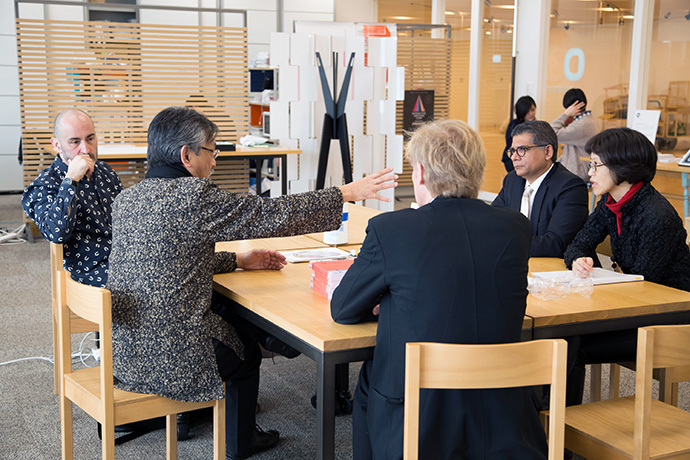 She is full time Associate Professor in the Department of Industrial Design at Shih-Chien University (SCID) since 1994 and served as Chairperson of SCID from 1999 till 2011. 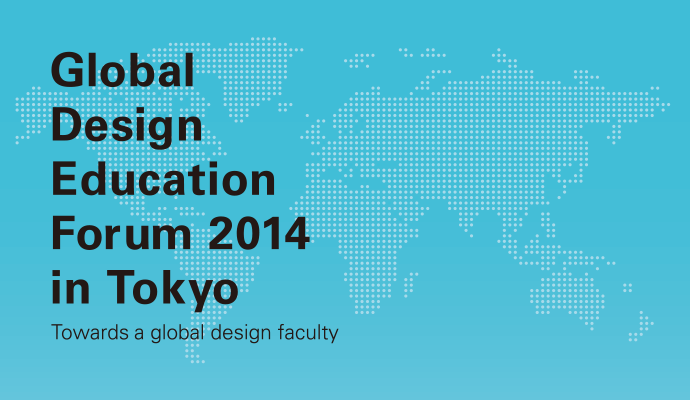 SCID was selected as Top 30 Best Design Program in the world by Businessweek magazine (U.S.) in 2009. Prof. Chou is invited as Guest professor at Hunan University in Changsha, Huaqiao University in Xiamen and Guangzhou Academy of Fine Art in Guangzhou, China, as well as at Köln International School of Design and FH Würzburg, Germany. 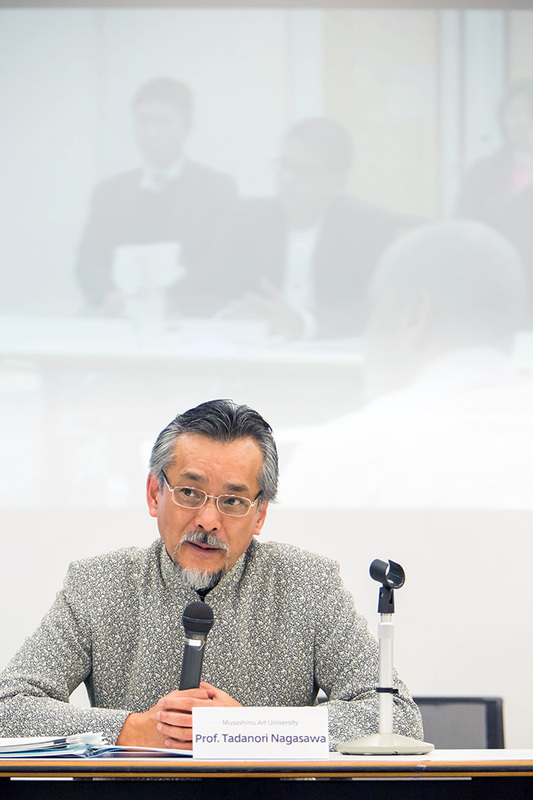 The author of regular essays published in journals, magazines, newspapers and books, Professor Chou has made keynote speeches, led workshops and given lectures in many countries. She is also member of jury committee for many government-sponsored projects and various design competition, coordinator of international design workshops and project leader of academy-industry cooperative projects. 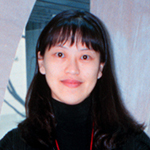 She is presently living in Taipei, Taiwan. 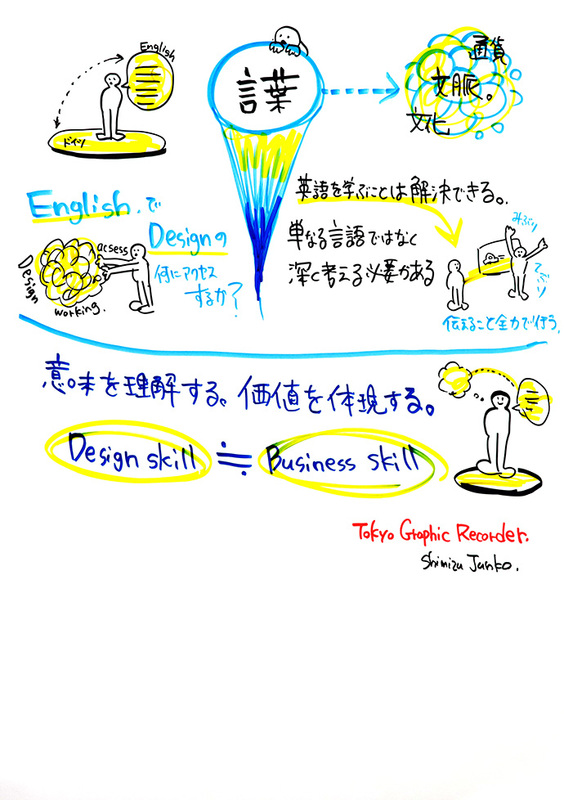 He has been working as a design consultant and a cultural engineer since he graduated at Royal College of Art in 1981, and he founded “Tadanori Nagasawa & Associates Ltd.” 1986, besides his design business he established a design think-tank “Design Analysis International Ltd.” in 1987 with his colleagues in London, Tokyo and New York and organized many design exhibitions in Japan and Europe until 1992. 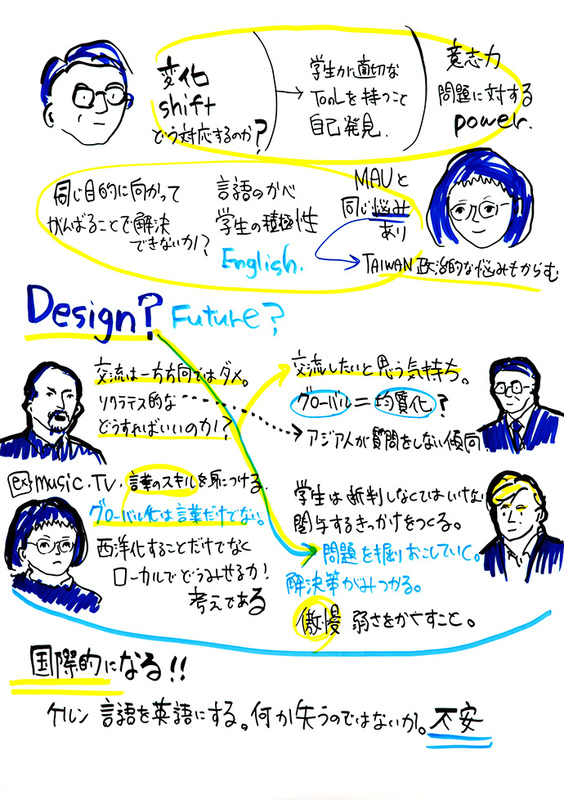 As educator, he was a founding member of the Tohoku University of Art and Design in 1993 -1999 and he became a founding member and Professor of the Department of Design Informatics, Musashino Art University in 1999 and he has been the Chairperson of the department since 2011 after he spent eight years of the administration as Director of International Relations and Deputy President of the Musashino Art University. He has been an advisor for the national government and several regional authorities, as well as professional associations and private-sector clients on all aspects of design and public relations. 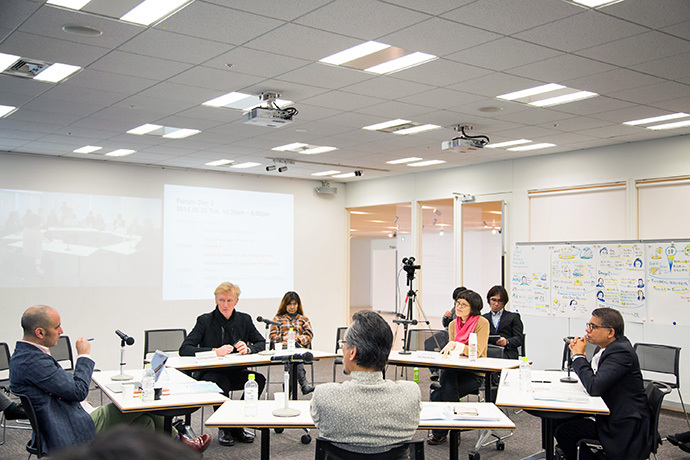 He has been a member of the juries of many design competitions and has been invited to speak at many design seminars throughout Japan and many foreign countries. He contributed as the author of numerous magazine articles and design books.